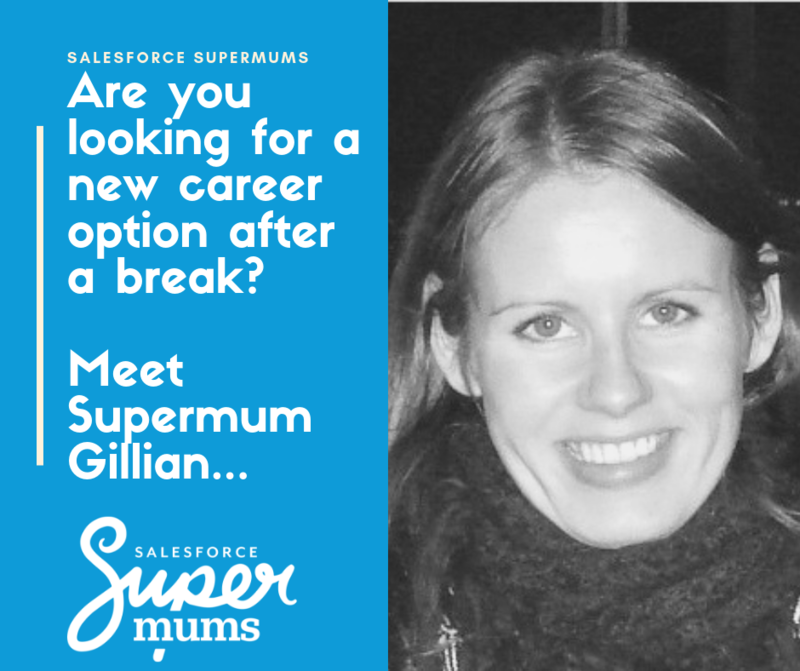 Lots of mums join our Salesforce Supermums Programme after a career break, looking for new career opportunities, a way to upskill, and a bit of a change of scenery! Before joining the Supermums programme, I worked for IBM for 10 years, in a variety of roles, including Technical Pre-Sales, Digital Marketing and Training Enablement. I had 2 of my sons whilst I worked there, and I was fortunate enough to go back after maternity leave twice and have a part time role that worked for me. When I was pregnant with my third son, a voluntary redundancy programme came up. I was really enjoying my job, but it was indicated at the time that the role I was doing may not be around when I returned from maternity leave, so I took the redundancy package. I spent the next 18 months as a full-time mum, but after a while I got itchy feet and thought it might be time to get back in to the marketplace – but wasn’t sure where to start! I stumbled across the Supermums programme on Facebook of all places. I had heard of Salesforce, and I knew that is was a CRM system, but not much more than that. So I started doing some research on exactly what that was and discovered that they were the biggest player at the time. So I decided that this might be a place that I’d be interested in finding out a bit more about. The key selling point for me was that trainees also got a chance to work on real-life charity implementations. As I said, I had worked at IBM for a decade at that point, and I felt that a training course would probably get lost in my CV. But if I could work on live projects then hopefully it would get noticed in a job application. Before I even finished the programme I had managed to secure a flexible role at an ISV partner called Payonomy (now Asperato) through the Supermums Recruitment programme. I started there as Technical Lead which was a great place to start out. I’ve now transitioned into a Customer Success Manager role which really plays on a lot of my skills, and am really enjoying the opportunities that Supermums opened up for me. 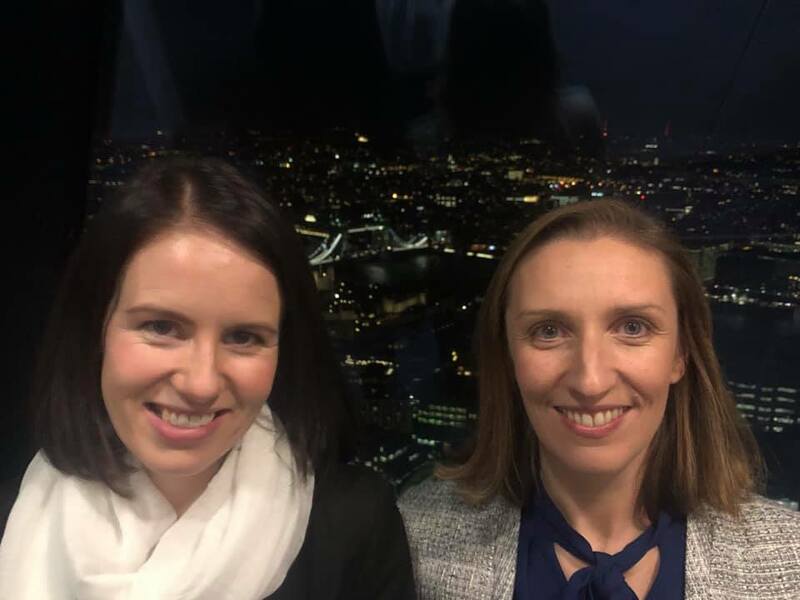 Image: Supermum Gillian (Left) with Supermums Founder Heather Black at Salesforce Partner Innovation Dinner at the Gherkin. Gillian spoke about her journey towards flexible working with a group of Salesforce Consultancy Partners. What do you want people to know about Supermums? So just to think about this group of people, if there are any roles, or programmes, or ways you can support them and make use of their skills. I can say from my personal experience that they would appreciate it very much! This entry was posted in Case Study, Flexible Working, Salesforce. Bookmark the permalink.